Welcome to my December 2017 Income Report! Just like that its December. 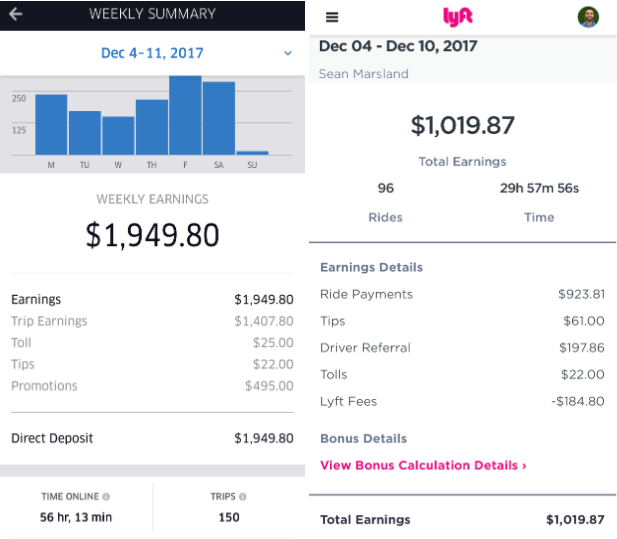 Its been a great year in which I learned a lot about the ins and outs of being a driver in the rideshare industry. 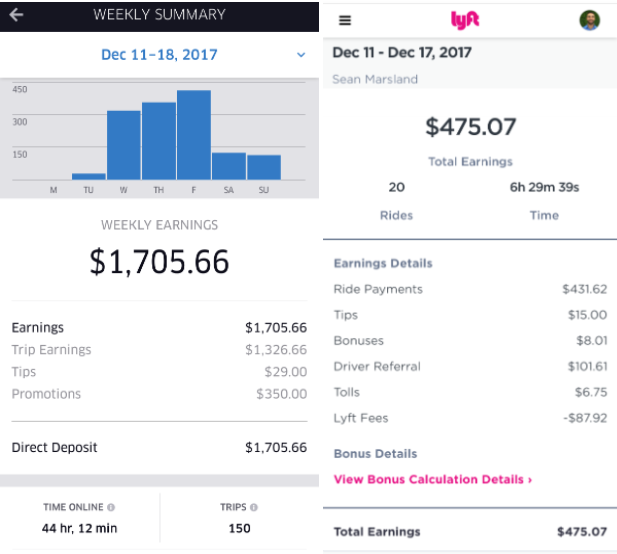 This month I only worked three weeks and was able gross $7,764.67. I almost had another $3,000 week, but fell short by $2. 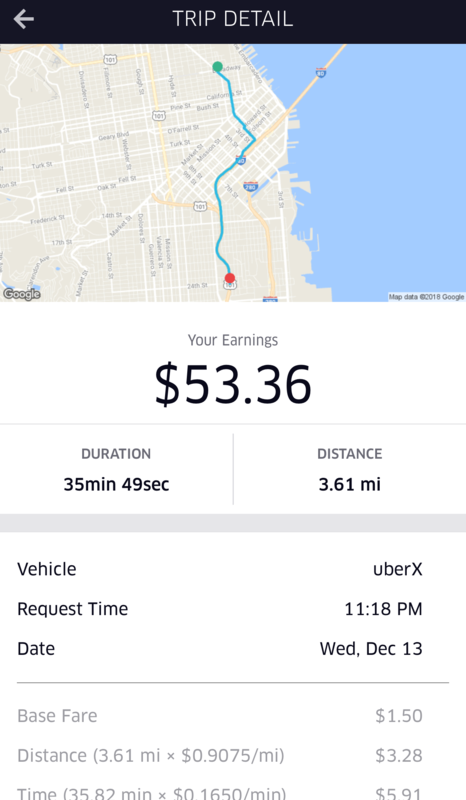 With this months earnings, I have successfully showed that it is possible to gross $100,000 driving as an Uber and Lyft driver in San Francisco. What's next? 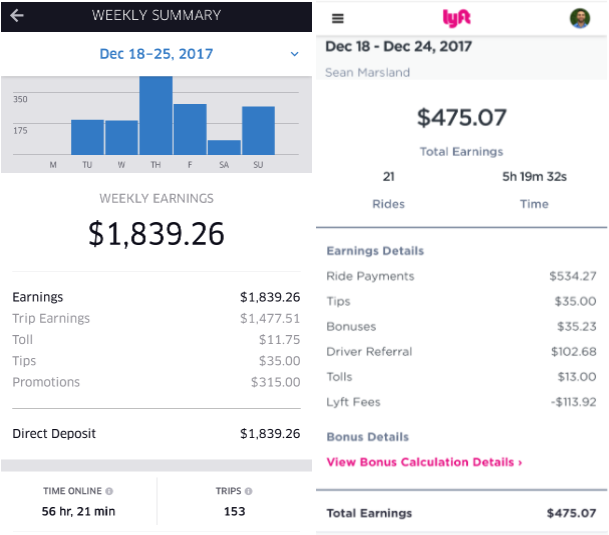 Now that I have built the earning statistics, I plan on driving part time for rideshare, while I create content that will help others increase their income as rideshare drivers. 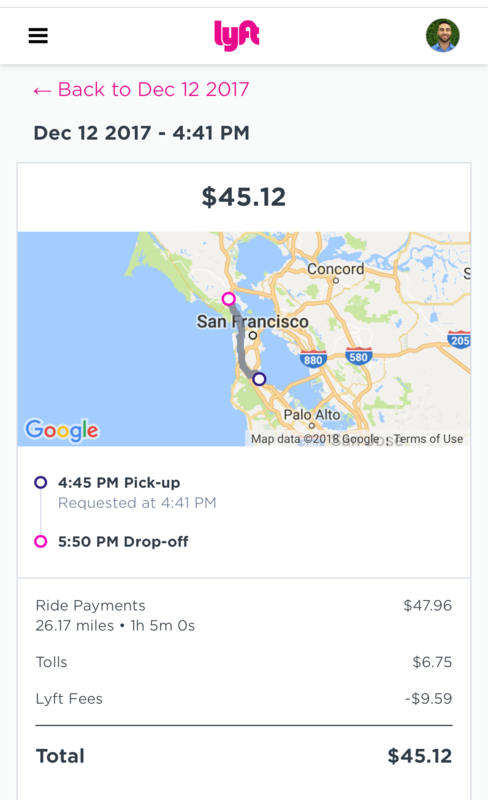 My goal is to build one of the best reference websites for all rideshare drivers. December 25th: Christmas. 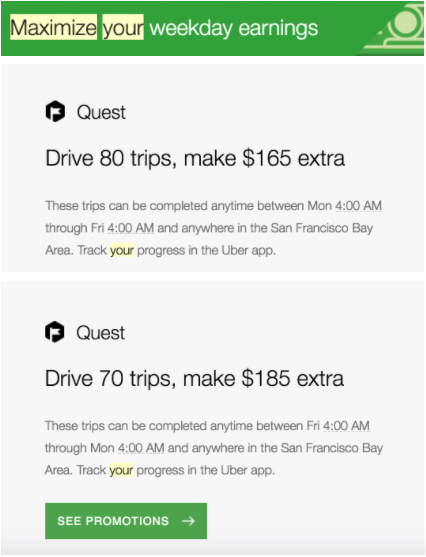 I did not drive this day, but I monitored the day via my Uber/Lyft applications. 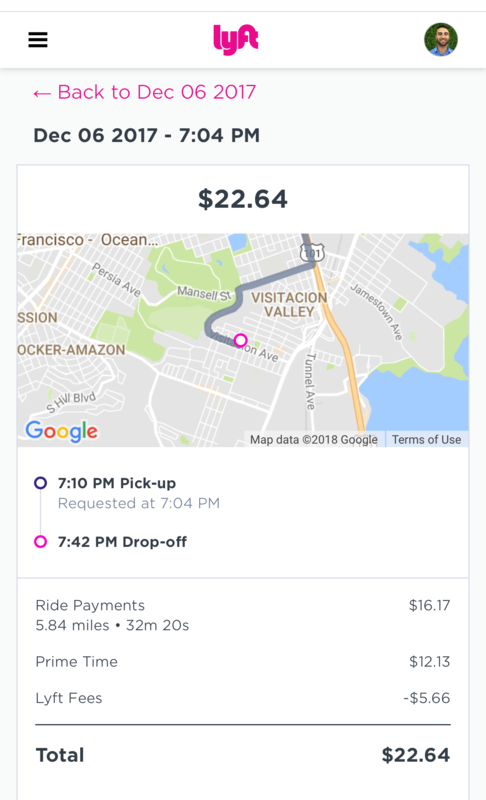 Since many people are with their families the supply of drivers is very short. 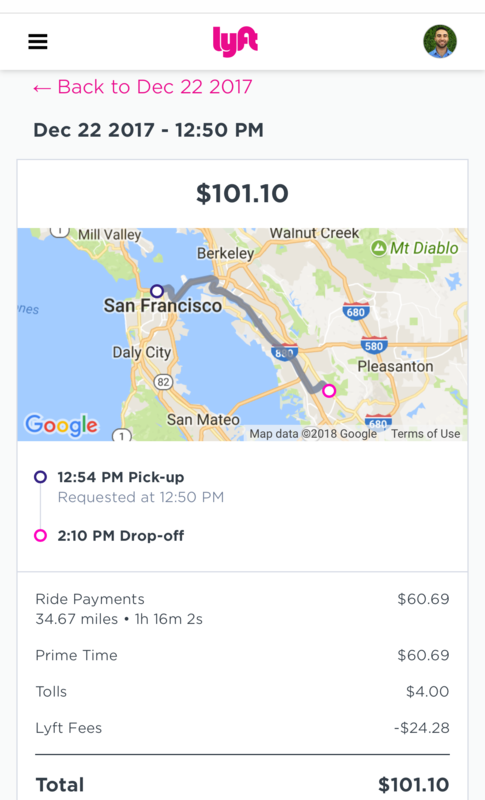 People still need rides and this brought surges at certain times in the day. December 31st - January 1st: New Years Eve/New Years: Crazy surges late at night. Big bucks can be made during select times of the night. 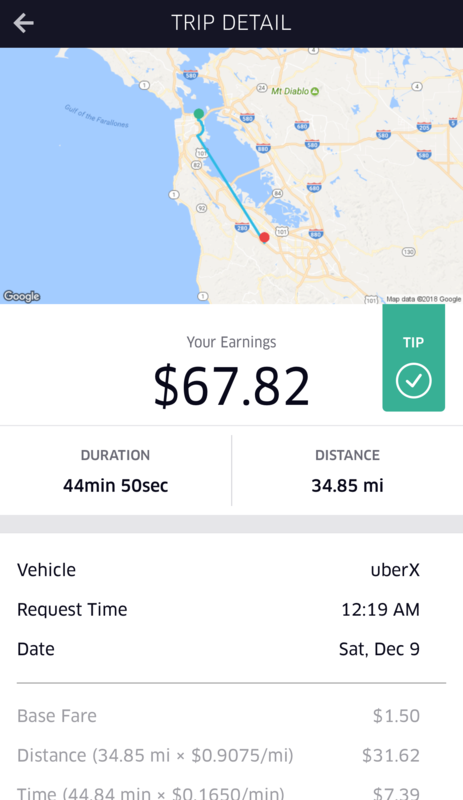 Help those drunkies get home safe! Three Insights I Took From December? 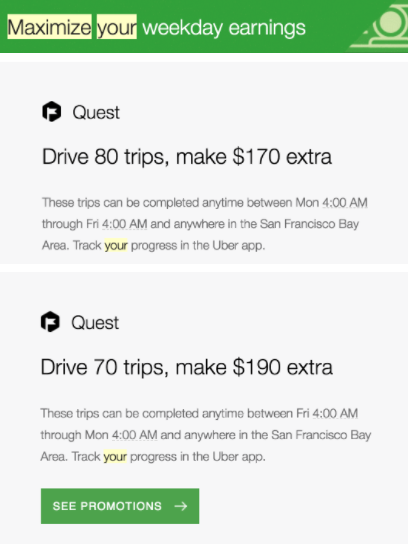 If you have nothing to do on holidays, they can be a great time to earn money due to the minimal supply of drivers. 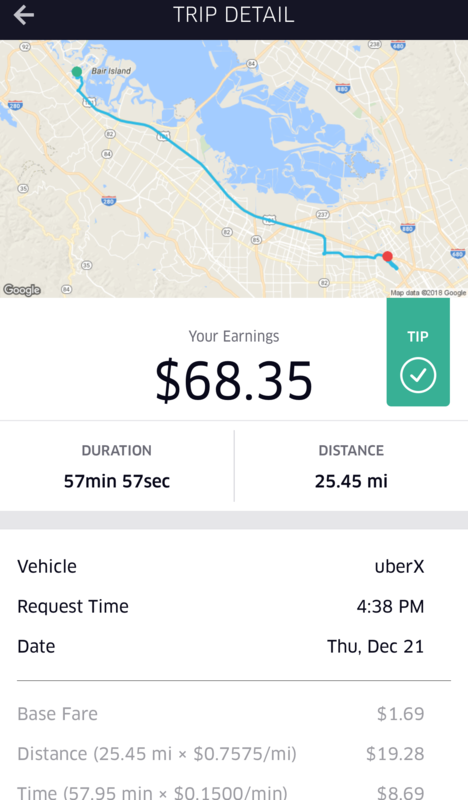 If you hustle and are willing to work long hours making $3,000 weekly with Uber/Lyft is possible. 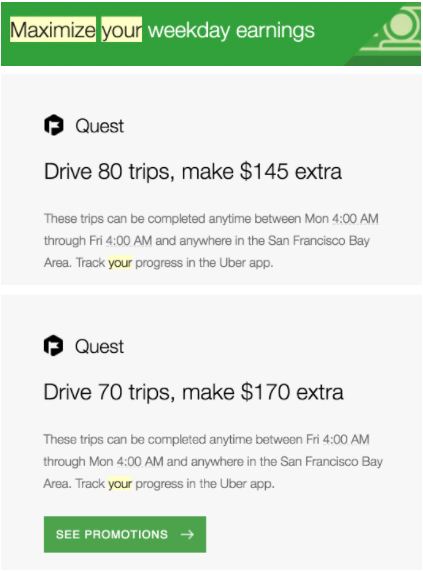 The road to grossing $100,000 in a year with Uber/Lyft is not only possible, but it can be surpassed.